I often get told that I am an inspiration. I'm working hard to live up to that praise, through this blog and otherwise, but sometimes I think that people view me as an inspiration simply because I'm living with a disability. That makes me uncomfortable. I view people as inspirations not just because of who they are as a person, but because of what they do with their lives. March is Women's History Month, so I wanted to take a day to talk about some of the amazing women that I admire. Since my blog and social media have helped connect me to people online who I might not have known about otherwise, I thought it would be fun to do a post about women online who inspire me! Obviously, there are many women in my own life who inspire me as well, but I'm limiting today's post to women I have never actually met (but would love to, someday)! First up are two bloggers whose content I love, and whose blogs I read every day! Carly's is the very first blog I ever read. It's been amazing to watch her content grow from her time as a student at Georgetown until now, when she works full-time running her blog. She does a great mix of lighter and heavier posts - she'll talk about style, but is also not shy about sharing her struggles with anxiety. I really look forward to seeing her continue to grow in the future! I only found Dana's blog shortly before I started blogging, but it has quickly become one of my must-reads. Dana has recently shifted her blog's focus from fashion-only to including some more personal posts, and I've loved the chance to get to know her better through them! I have also really enjoyed connecting with her on social media, and learning that she loves Pittsburgh. I also like following content creators on YouTube, and wanted to share two women making inspiring videos. Lilly's love and enthusiasm for what she does is the very first thing I noticed about her when I started watching her videos. "Hustle Harder" is one of her mottos, and it's clear that it's one she lives by - she seems to be always working and dreaming up something new. I equally enjoy her videos on her main channel and the videos on her vlog channel - both channels help give the full picture of who she is. Plus, she just got the cutest little puppy, Scarbro, who reminds me of my own dog, Lily, when she was a little puppy! Molly is a YouTuber who makes videos about her life. As a blind woman, she talks about her blindness, but not in a negative way. 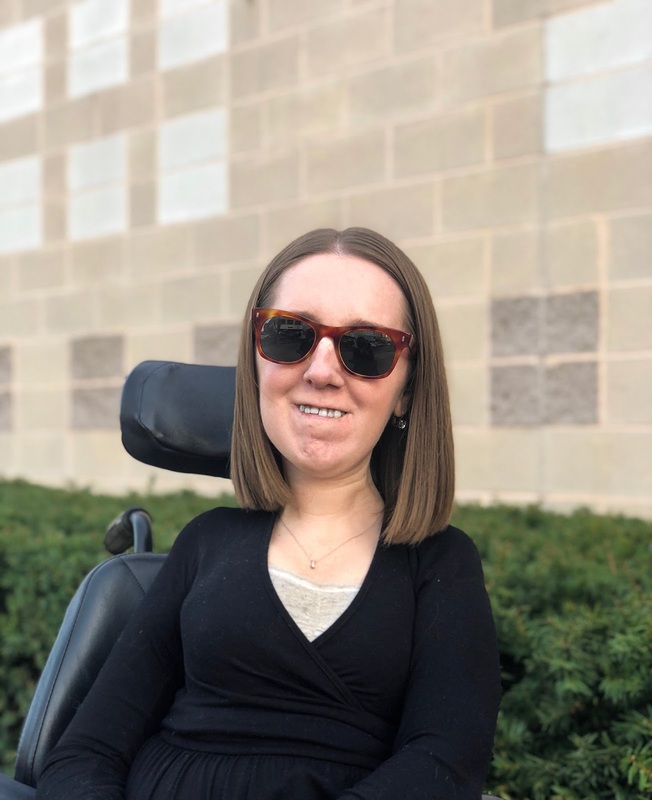 She shares some of the amazing experiences that she has had the opportunity to be a part of, and also helps educate people on blindness by sharing her real-life experiences of navigating the world as a blind woman. She is someone I view as inspirational because of what she has done with her life, not simply because she is blind! And finally, my miscellaneous category - people that I've found online who I think are doing amazing things! This isn't my first time talking about Liz Plank (read more here), but I couldn't write this post without including her. I just think she's doing amazing work - she's using her platform to amplify the voices of people whose experiences might not otherwise be heard, and I think that is so important! I first heard of Stephanie because she was in the original Broadway cast of Hamilton (and my obsession is well-documented here and here), and then was lucky enough to see her in In the Heights here in Pittsburgh (read about that here). I was already inspired by her talent, but after following her for a while on social media, I became even more inspired by her dedication and perseverance! Her Instagram is filled with pictures and stories of her flying all over the globe to work on different productions of Hamilton, she started a non-profit that uses music as therapy (my sister's major was music therapy as an undergraduate), and she seems to always be on the go, doing more. I love Hamilton so much, and it's really inspiring to see the cast putting so much good into the world! This list is truly just the start - there are so many amazing women who inspire me daily. Who are your inspirations?